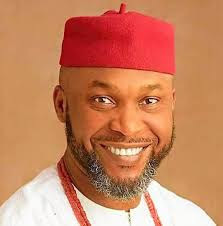 From indications, it's very likely that Osita Chidoka will be picked as PDP presidential candidate Atiku Abubakar's running mate. 1. Osita has been a son to Baba Obasanjo since 2009 when he appointed him to head the FRSC. Most events at OOPL Abeokuta always had Osita in attendance and a close sit with Baba. 2. Obasanjo in recent times has clamoured for the South East to get a bite at the national cake, especially the presidency. This is not leaving out the intellectual sagacity of Osita and his innovative ideas, he's young and relatively experienced in politics, he will be the best fit going forward.